The Communist Manifesto (originally Manifesto of the Communist Party) is an 1848 political pamphlet by German philosophers Karl Marx and Friedrich Engels. Commissioned by the Communist League and originally published in London (in German as Manifest der Kommunistischen Partei) just as the revolutions of 1848 began to erupt, the Manifesto was later recognised as one of the world's most influential political documents. It presents an analytical approach to the class struggle (historical and then-present) and the conflicts of capitalism and the capitalist mode of production, rather than a prediction of communism's potential future forms. 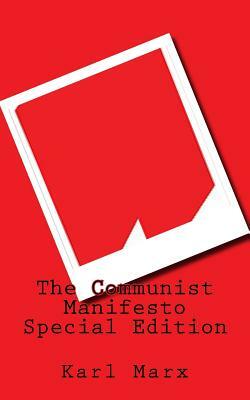 The Communist Manifesto summarises Marx and Engels' theories concerning the nature of society and politics, that in their own words, "The history of all hitherto existing society is the history of class struggles." It also briefly features their ideas for how the capitalist society of the time would eventually be replaced by socialism. We are delighted to publish this classic book as part of our extensive Classic Library collection. Many of the books in our collection have been out of print for decades, and therefore have not been accessible to the general public. The aim of our publishing program is to facilitate rapid access to this vast reservoir of literature, and our view is that this is a significant literary work, which deserves to be brought back into print after many decades. The contents of the vast majority of titles in the Classic Library have been scanned from the original works. To ensure a high quality product, each title has been meticulously hand curated by our staff. Our philosophy has been guided by a desire to provide the reader with a book that is as close as possible to ownership of the original work. We hope that you will enjoy this wonderful classic work, and that for you it becomes an enriching experience.